The town is named for its setting in a bowl-shaped valley which early miners thought was caused by a volcano. The early morning fog rising from the valley floor only reinforced that belief. The area was first known designated by Colonel Stevenson's men, who mined Soldiers Gulch in 1849. In 1851 a post office was established and by April 1852 there were 300 houses. By 1853 the flats and gulches swarmed with men, and there were 11 stores, 6 hotels, 3 bakeries, and 3 saloons. Hydraulic mining operations, begun in 1855, brought thousands of fortune seekers to form a town of 17 hotels, a library, a theater, and courts of quick justice. During the Civil War, Volcano's gold served the Union - the Volcano Blues smuggled the cannon "Old Abe" to intimidate rebel sympathizers. The cannon was cast by Cyrus Alger & Co. in Boston in 1837 and is the first of two 6-pounders made on the same day to be stamped with serial number 4. The cannon was never fired. The other cannon still survives at Shiloh Battlefield and is called "Shiloh Sam". Abe is the only cannon of that age in the U.S. still on a nineteenth century wooden carriage, and has had an interesting history all on its own. 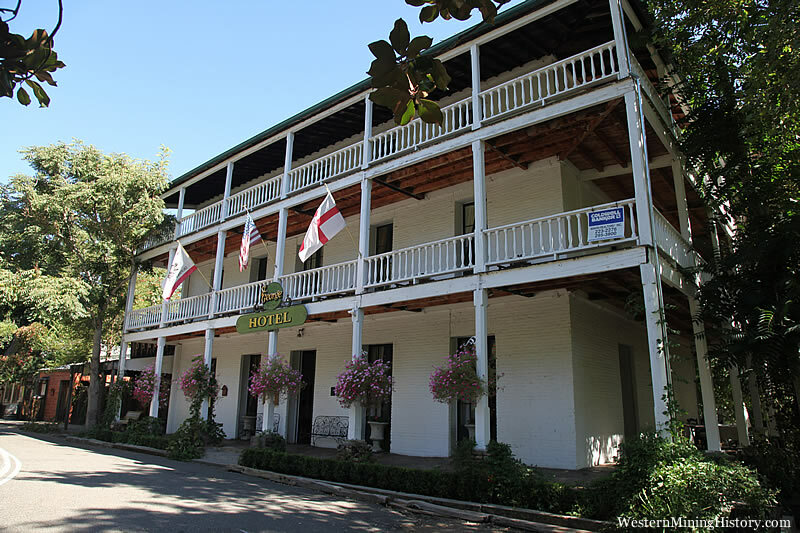 The landmark St. George Hotel is listed on the National Register of Historic Places. Volcano almost became the county seat in 1854 and again in 1857, but the newspaper closed in 1857 and afterwards, the town began to decline. The observatory was established by George Madeira and is where the Great Comet of 1861 was discovered (in the U.S.). 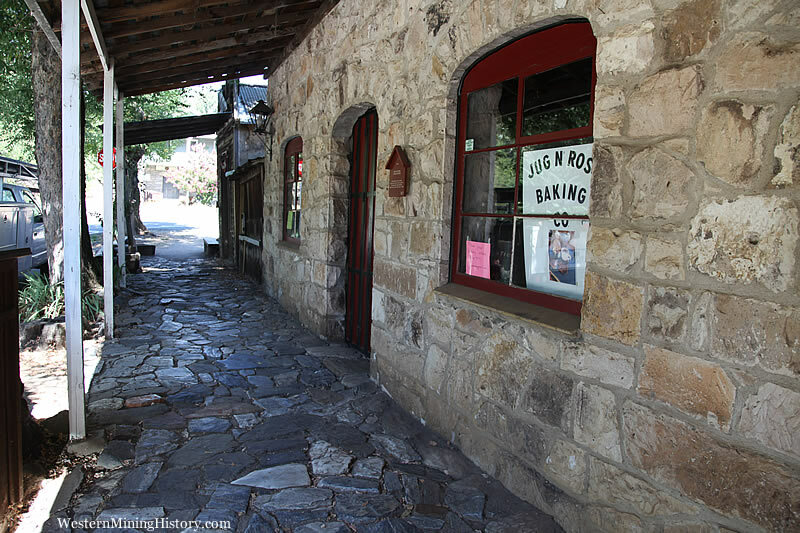 It is registered as California Historical Landmark #715. Volcano is also home to Black Chasm Caverns, a National Natural Landmark. Community theater, first established in 1854, continues in the town through the efforts of the Volcano Theater Company. The company conducts a full season each year, performing in both the 35-seat Cobblestone Theater and in the larger outdoor Volcano Amphitheater.